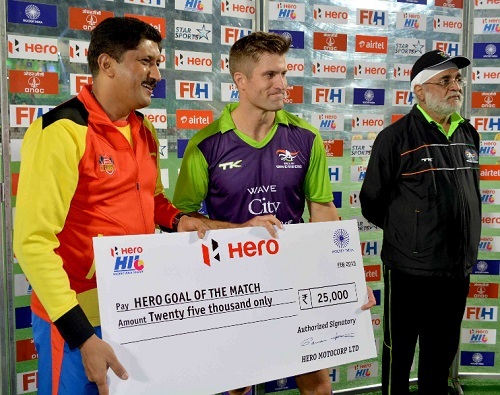 The third edition of the Hockey India League, the hockey version of the lucrative IPL, has just come to an exciting conclusion. The Ranchi Rays and Dabang Mumbai were introduced in 2015 after the closure of the Mumbai Magicians and the Ranchi Rhinos, the inaugural champions. 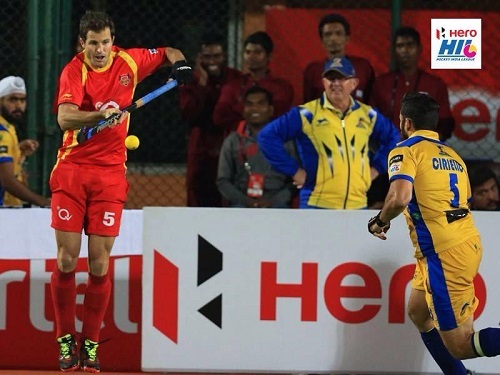 The 2015 season would see the remaining 4 franchises join up with the new 2 for 34 matches finishing with the 2015 Hockey India League final. It was an incredible tournament and although there was no television coverage in South Africa, there was great South African involvement anyway. Both the inspirational South African skipper, Austin Smith, and the man who does not play for South Africa at present, Justin Reid-Ross, had previously both represented the Ranchi Rhinos and won the inaugural edition. When Ranchi Rhinos were shut down the new team resigned many of the players, although not previous coach Gregg Clark. It did not start well as the Rhinos tasted a heavy defeat up front 6-3 to Kalinga Lancers and drew with defending champions Delhi Waveriders in their third match. They started to bounce back led by their 27-year old English inspirational captain Ashley Jackson, winning five of their final six group games to finish in second place on the log. A semi-final would be hosted against the UP Wizards and although they trailed early a 1-1 draw was secured through Daniel Beale. The shoot-out was needed and after a mammoth shoot out it was the Rays who won through to a final 9-8. And so to the final in their inaugural season. They would have to travel to Jaypee to take on the league stage top team the Punjab Warriors. And it was the Rays that were successful in keeping their nerves intact to beat Jaypee Punjab Warriors in the penalty shoot-out and emerge as the winners to lift the glittering trophy at the Major Dhyan Chand National Stadium, New Delhi. 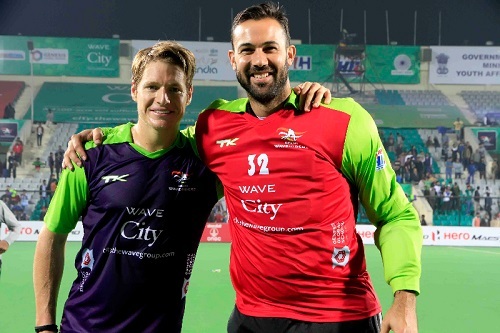 It was the second time that Austin and Justin had collected winners medals at the Hockey India League. It would be great to be able to call on both of them for the national side on a regular basis. Lloyd was back for his third season with the Waveriders and was joined by Tim for the second time and Rassie for the first time. The defending champions were not the same force as they had been in 2013 when they finished runners up or in the title owning season of 2014. They did however do enough to get into the semi-final line up and although they lost there they were able to get the consolation bronze medal by beating the UP Wizards by 2-1. Tim was once again a work force in the midfield, while Rassie offered a fantastic option in goals to rotate for coach Cedric Dsouza. Lloyd was once again the type of striker you want in any side, he doesn’t always score a lot of goals (2 this season, both of which won him goal of the match), but the work he does creates space and opportunities for advancing players. I think, unless he has withdrawn for personal reasons, it is an absolute disgrace to not have him the World League squad for the SA Hockey Men, something that Fabian Gregory will surely have to answer to. It is however a third medal for Lloyd (Gold, Silver and Bronze) a second for Tim (Gold and Bronze) and a first for Rassie (Bronze), which is definitely something to be proud of. Dave Staniforth may now be based in India coaching, however it was for South Africa that he made his name as a goalkeeper. In the first edition of the Hockey India League he was part of the Ranchi Rhinos champion side as goalkeeping coach and video analyst. That year he managed to pick up a gold medal, this time he lost out as the Wizards finished fourth. Dave is currently working with Hockey India as a strategic analyst.